As one of the growing areas of the United States, the Tacoma, WA real estate market is busy and exciting. There are almost three thousand properties currently available and they all can be found on this site. This search engine has many powerful tools that help buyers find condos and homes for sale in the Tacoma real estate market. The site runs smooth and returns fast and accurate results based on each individual’s criteria. Potential buyers just type their interests into the search engine and see all the matching properties for sale. The Tacoma, WA real estate market includes Tacoma and the surrounding Pierce county area, and includes both metropolitan centers and rural areas. It is also is one of the most beautiful areas in the country which is why many people are interested in the condos and homes for sale in the Tacoma real estate market. There are great waterfront sites, whether you are looking to live near Puget Sound or on a sparkling lake. You can find a luxury condo with a river view or a vacation cabin near a river. 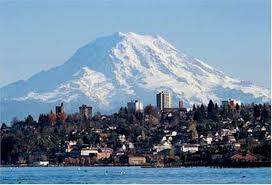 The Tacoma, WA real estate area also is near stunning mountain ranges. These include both Mt. Rainier and the Olympic Mountains. Many people are eager to find condos and homes for sale that have views of these magnificent natural wonders. They can do this by using some of the tools found at PiercePowerSearch to find the perfect homes or building sites listed in the Tacoma real estate market. Some people are moving into the Tacoma, WA real estate area for the first time. They may be moving due to a job relocation or transfer. Or they may have always dreamed about retiring to this stunning part of the country. They can really benefit by using the research tools on the PiercePowerSearch site. They can search the condos and homes for sale to get an idea of the cost of the various properties and locations. Relocating buyers can also use the site to find special communities and neighborhoods. These include golfing and gated communities as well as rural areas suited for farms and horses. There is even a detailed and interactive map that they can use to find listings near specific highways and commuter routes. Out of town buyers can also find local realtors on the site who are knowledgeable about the Tacoma real estate market who can help them find the perfect property and secure financing. The Tacoma, WA real estate market is big and contains a wide variety of all kinds of properties. It also has a great resource in the www.PiercePowerSearch.com engine. This site gives both local buyers and those far away the ability to search all the condos and homes for sale in the Tacoma real estate market. Every person interested in buying in this market should take advantage of all the powerful search tools on the site to create their own customized list of Tacoma properties.